Alas, the 'bunk' is no more. 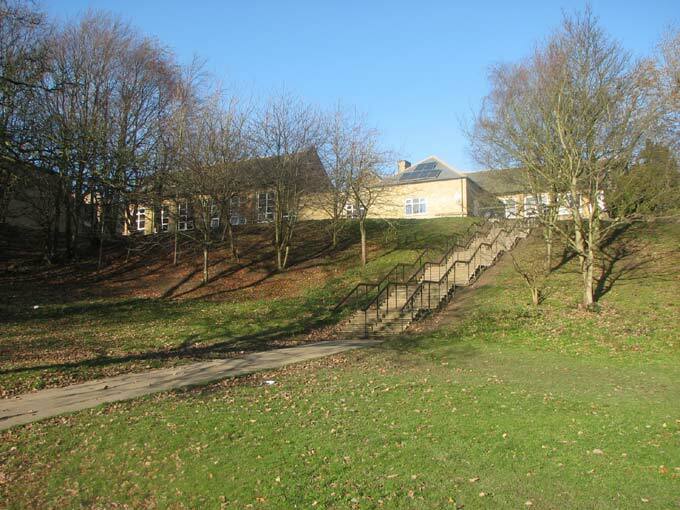 This area below the School has been landscaped and a flight of steps provides access to the playground area from a car park below. The building in the centre, with six solar panels on the roof, is a relatively modern extension to the Science Department, and the former School gymnasium/assembly room has also now been converted into laboratories.